Vintage Dry has been a long standing favourite cider of ours. 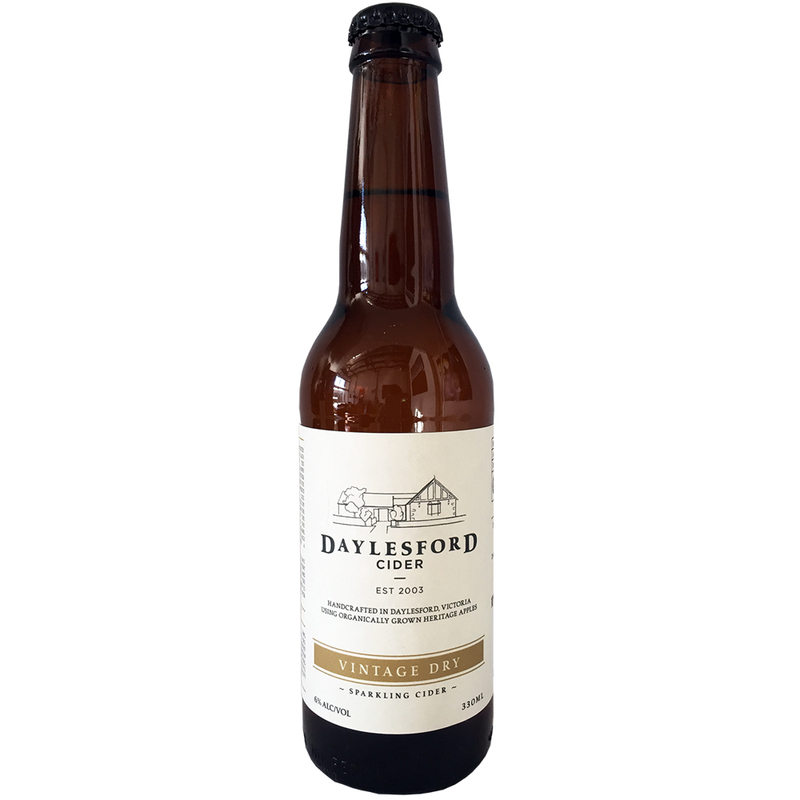 This cider is not quite bone-dry, with good tannins, robust flavours and decent carbonation, resulting in an idea thirst quenching cider. Beautiful golden hues echo the quality cider apples used in this blend. Vintage Dry received a Gold medal at the 2018 Australian Cider Awards. Only 1 point off top score in its category, and within the show.